В статье рассматривается специфика зарождения и функционирования двухсторонних (многосторонних) рынков сетевых благ. Автор дает обзор литературы по данной проблематике, анализирует процесс становления теории двухсторонних рынков. Особое внимание уделяется проблемам реализации стратегии поведения фирм на двухсторонних рынках. 1. Чебанов С.В. Методы оценки рыночных позиций фирмы // Мировая экономика и международные отношения. – 1991. – № 6. – С. 105-108. 2. Эйзенман Т., Паркер Дж., Алстайн М. // Российский журнал менеджмента. – 2013. – № 4. – С. 79-94. 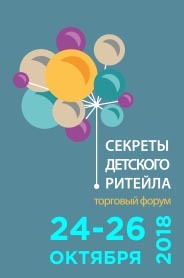 – url: https://rjm.spbu.ru/article/view/244. 3. Armstrong M. Competition in two-sided markets // Rand Journal of Economics. – 2006. – С. 668-691. 4. Baxter W. Bank interchange of transactional paper: Legal and economic perspectives // Journal of Law and Economics. – 1983. – № 26. – С. 541-546. 5. Chakravorti S., Shah A. Underlying incentives in credit card networks // Antitrust Bulletin. – 2003. – № 48(1). – С. 53-76. 6. Church J., King I. Bilingualism and network externalities // Canadian Journal of Economics. – 1993. – № 26. – С. 337-345. Filistrucchi L., Geradin D.A.A.G., Damme E.E.C. Identifying Two-Sided Markets. Idea. [Электронный ресурс]. URL: https://ideas.repec.org/p/tiu/tiutil/d69d2808-d3eb-46ea-a6ac-cb3ccaf4b27d.html. 8. Kaiser U., Wright J. Price structure in two-sided markets: Evidence from the magazine industry // International Journal of Industrial Organization. – 2006. – № 24(1). – С. 1-28. Kurucu G. Negative Network Externalities in Two-Sided Markets: A Competition Approach. Mpra. [Электронный ресурс]. URL: http://mpra.ub.uni-muenchen.de/9746. Reisinger M. Two-Sided Markets with Negative Externalities. Munich Discussion Paper. [Электронный ресурс]. URL: http://epub.ub.uni-muenchen.de/478. 11. Rochet, J.C., Tirole J. Platform Competition in Two-Sided Markets // Journal of the European Economic Association. – 2003. 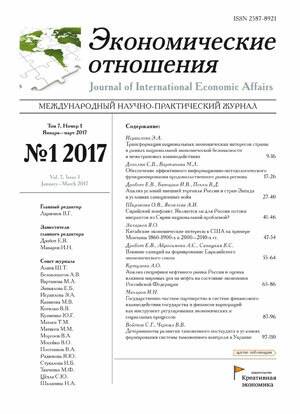 – № 1. – С. 990-1029. 12. Rochet J., Tirole J. Two-sided markets: A progress report // Rand Journal of Economics. – 2006. – № 37. – С. 645-667. 13. Rysman M. Competition between networks: A study of the market for yellow pages // Review of Economic Studies. – 2004. – № 71. – С. 483-512. 14. Rysman M. An empirical analysis of payment card usage // Journal of Industrial Economics. – 2007. – № 55(1). – С. 1-36. 15. Rysman M. The economics of two-sided markets // Journal of Economic Perspectives. – 2009. – № 23(3). – С. 125-143. Shy O. A Short Survey of Network Economics. Working paper series. [Электронный ресурс]. URL: http://hdl.handle.net/10419/55647.